Franny (Eve Hewson) and Dan (Avan Jogia) are young and madly in love. Through they’re only 22 and barely employed, they couldn’t care less that their friends and family think they’re crazy—they’re in love, full of potential, and giddy at the prospect of the future. As their first year of marriage drags on, new opportunities and multiple temptations challenge the relationship they have with each other and themselves. 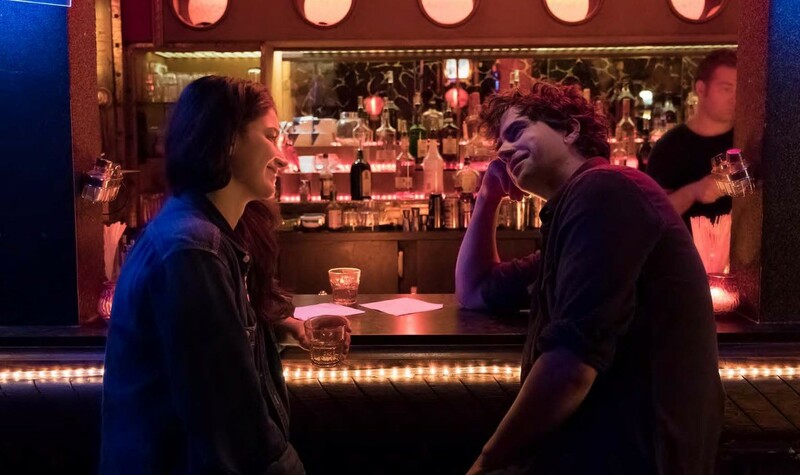 This modern take on young love from director Rebecca Addelman (NEW GIRL, LOVE) contributes to a fresh perspective on marriage, commitment, and generating happiness in contemporary times. Equal parts comic and painful, joyful and vulnerable, it’s an emotionally honest look at the challenges of growing and changing with the one you love. Rebecca Addelman is a writer-producer and director from Ottawa, currently living and working in Los Angeles. Most recently writing for network television’s NEW GIRL as well as shows on Adult Swim (CHINA, IL) and Netflix's LOVE. For many years, Rebecca was a featured member of the prestigious Upright Citizens’ Brigade Theatre in LA and branched into directing with her short film THE SMOKE in 2016. PAPER YEAR is her first feature film.